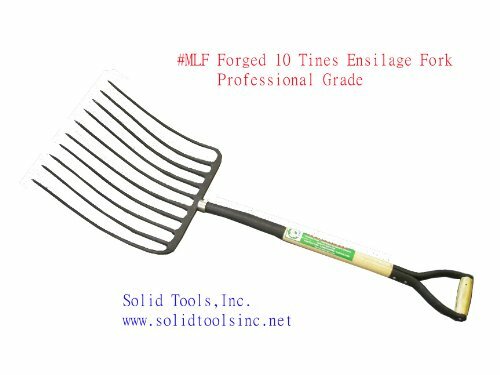 This 10 Tines Ensilage Fork is made of genuine roll forged in one piece, Not welding tines. Tines are forged with ideal curvature. Fork head size is 16"x14-3/4" Overall length is 44". Selected hardwood handle with steel armoured Y grip. If you have any questions about this product by Forgecraft, contact us by completing and submitting the form below. If you are looking for a specif part number, please include it with your message. C2F, Inc. C2F professional metal rake head for loosening or breaking up compacted soil, spreading mulch or other material evenly and leveling areas before planting.